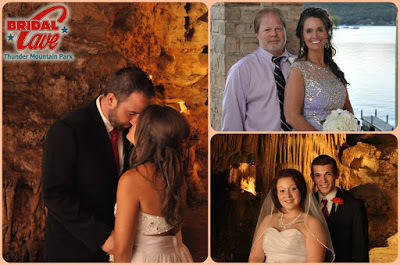 THIS WEEKEND is our Free Vow Renewals at Bridal Cave! It's finally here! 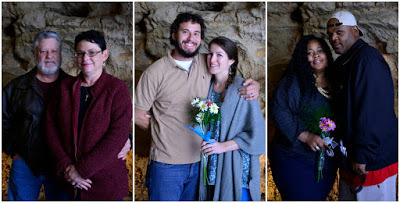 Our annual vow renewals inside Bridal Cave will take place THIS weekend! On Sunday, February, 10th from 9am to 4pm, love will be in the air inside beautiful and romantic Bridal Cave! All married couples, including their family members, are invited to attend this event at our unique wedding venue at the Lake of the Ozarks. There is no need to make a reservation, simply show up between 9am and 4pm and say, "I Do" again! Keep an eye on our Facebook page for the official details regarding our event on Sunday. We hope that the weather will hold off so we can see a record amount of couples attend our vow renewals! Bridal Cave is always ecstatic to be able to offer this free event at the Lake of the Ozarks! We hope that through our vow renewals we can bring joy to an abundance of couples in the Lake Area and beyond. In lieu of this event being free to the public, we do ask that you please bring a non-perishable food item to benefit the local Lamb House of Camdenton. This our way and yours to give back to those in need in our community! Free Gifts From Bridal Cave and the Lake Area! And of course all of the park staff for all of their hard work in preparation for this event. We are looking forward to seeing new faces as well as the folks that come to get their vows renewed every year with us! This is truly a special day in the park for everyone including our wedding couples, their family members, and our staff! We look forward to this event every year and we hope to see hundreds of couples share their love for one another! Don't forget to keep an eye on our Facebook page Sunday morning to check for updates on the weather and if we will start down at Bridal Cave or at our new event center at the top of the hill. BRIDAL CAVE IS GIVING AWAY 70 FREE FAMILY PASSES!!! We recently celebrated our 70th year in business at our Missouri Show Cave this past April. To celebrate, we threw a great big employee reunion to thank all the wonderful employees that have helped shaped our Lake of the Ozarks attraction into the success it is today. We had a great night celebrating this accomplishment. In fact, we had so much fun celebrating it got us to thinking, why stop the celebration when we could continue celebrating all Summer long? To continue our celebration we thought it would only be fair to also thank our guests who have supported our family owned business over the past 70 years. 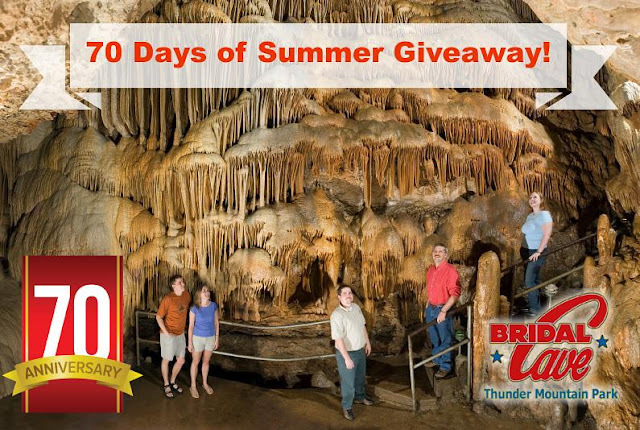 So in honor of celebrating 70 years in business, Bridal Cave is going to give away 70 FREE Family Passes to Bridal Cave throughout the Summer! Entering is easy, just follow the steps below! Our Fall Festival Opens THIS WEEKEND! It's finally here, our 2nd Annual Thunder Mountain Fall Festival at Bridal Cave! Our staff has worked hard the past few weeks to transform our family attraction at the Lake of the Ozarks into the best decorated fall event at the Lake of the Ozarks. 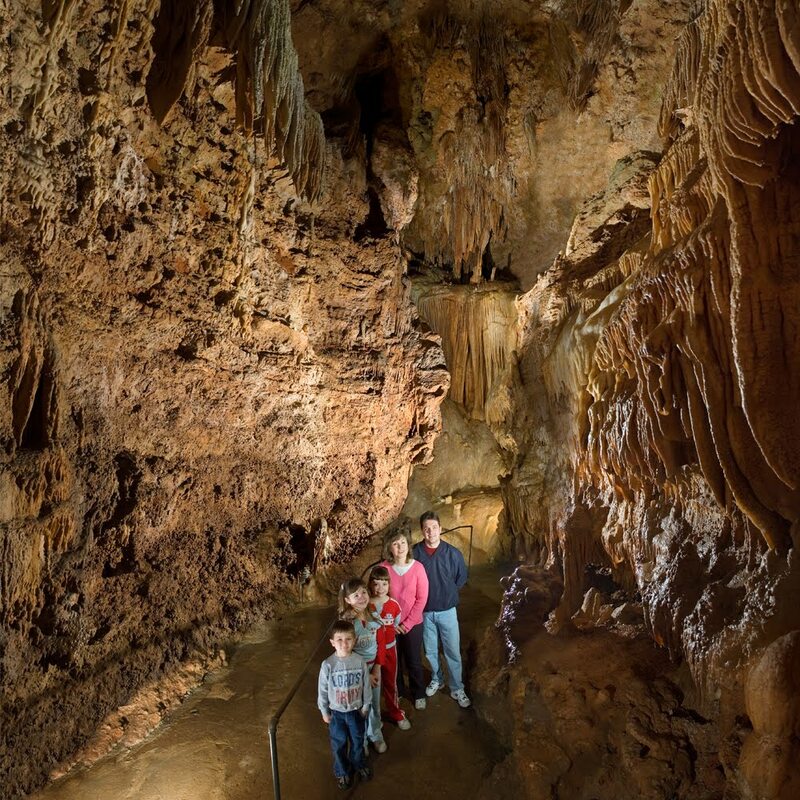 In addition to our normal cave tour, there will be so many fun activities to enjoy while you are here in the park. Our Fall Festival will take place every weekend in October so you will have plenty of opportunities this October to join in on the fun! Read on to find out what this spectacular event will entail this October! 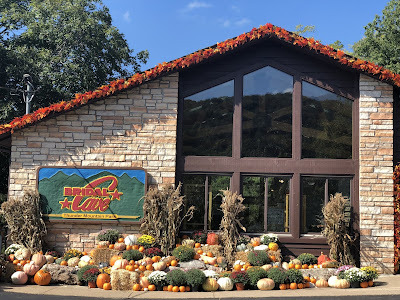 This festival is the best decorated event at the Lake with Over 3,000 pumpkins, 1,000 bales of straw and hundreds and hundreds of fresh blooming Mums…all for sale at discount prices with a cave tour. Get your fall decorations and have Family Fun as it Should be. The Lake of the Ozarks is full of fun annual events. This weekend, Saturday, September 22, 2018 is the Lake of the Ozarks Air Show at the Camdenton Memorial Lake Regional Airport. Vendor booths will open at 10:00 am and the show will conclude at 3:00 pm. This annual event at the Lake of the Ozarks is going to be packed with entertainment for folks of all ages to enjoy. This day will consist of areal displays, static displays, vendor booths, car vs. plane rases, and much more. 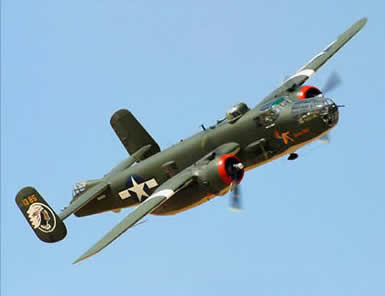 Your friends underground here at Bridal Cave and Thunder Mountain Park have all the details for what to expect at the Air Show this year! Hours & rates are subject to change without notice. Hours and rates are subject to change without notice.